More than ever this holiday season, the Opéra “Eclair” by Saint-Honoré is the watch for every instant. Sophisticated or light, Opéra is a delightful blend of freshness and emotions that is destined to please. The skill of the watchmaker combines with an array of materials, sizes and colours, and the magic of the diamonds that light up the dial. 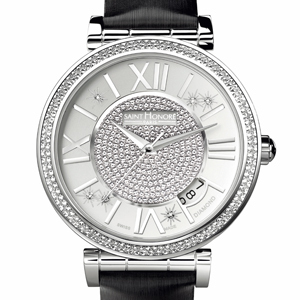 But the star attraction has to be the magnificent "Eclair" execution, a unique effect that creates an impression of paved diamonds in the centre of the dial and on the bezel, never seen before. 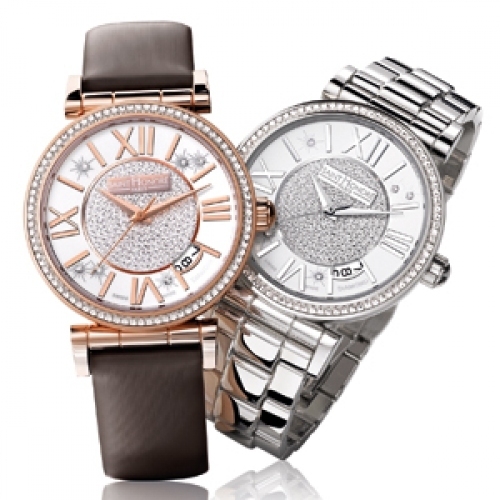 The round case suggests softness and femininity, and highlights the exclusive nature of this model in 33 and 37 mm diameters. As a finishing touch, the infinite variety of interchangeable straps in leather, satin or metal match this timepiece to every moment and mood.